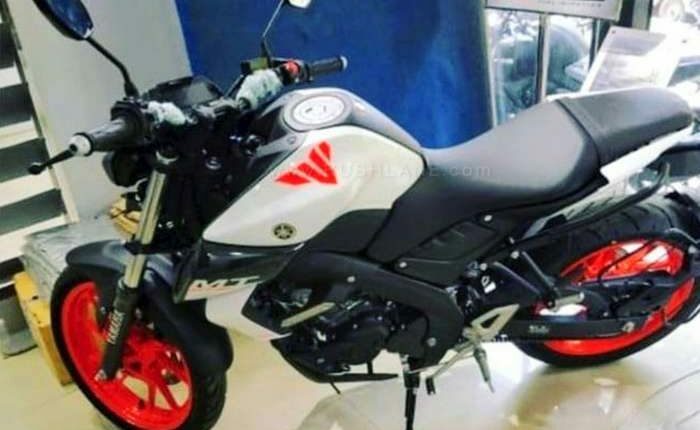 The White Yamaha MT15 was spotted at Yamaha dealership orange tank and frame. Images are credit to iamabikerdotcom. 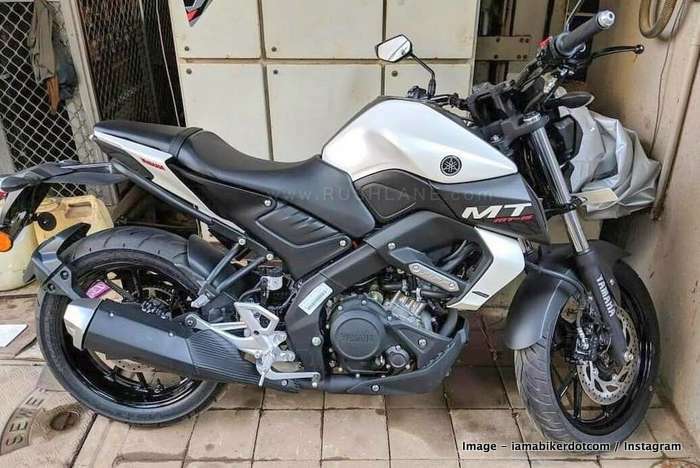 Yamaha MT15 was launched in India in March 2019 in two colour options of Black and Blue. Now a third colour option has been spotted in India, which is a dealer mod. 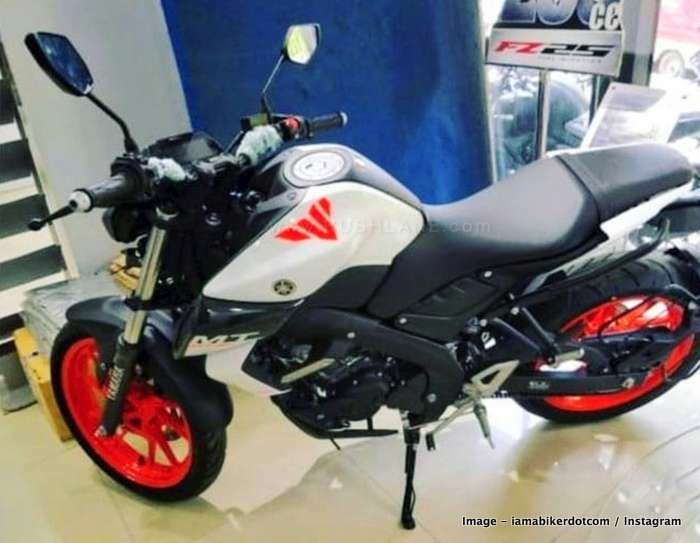 Yamaha MT15 white colour option with orange alloys is a dealer level mod, which is priced at Rs 20k over the cost of the motorcycle. It also gets orange finish on fuel tank and frame. Apart from this dealer level mod-bike, there is one more Yamaha MT15 which has been spotted with black alloys and white body paint. This one is seen with a TC no plate, which probably means its a brand new delivery bike. Unlike the dealer-spec White and Orange MT15, this one does not get orange accents on the chassis as well as on the fuel tank. 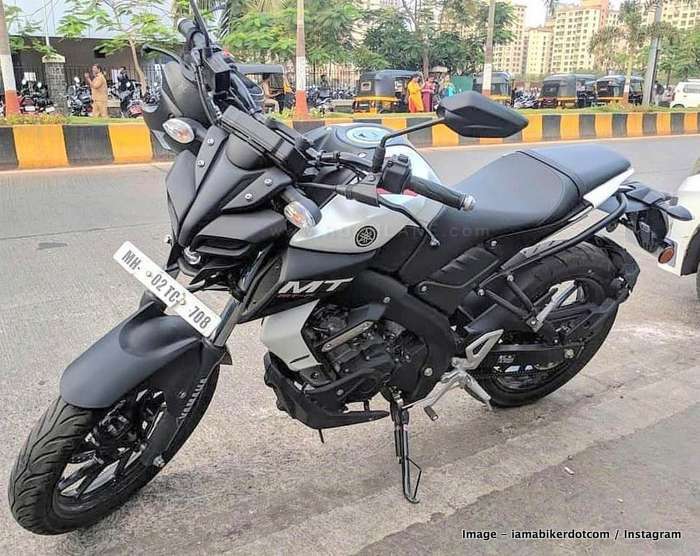 Is this the new colour option of MT15 which is soon going to be on sale across India? Priced from Rs 1.36 lakhs, ex-showroom, the new Yamaha MT15 is a highly overpriced machine, when compared with the price of other motorcycles in the segment. 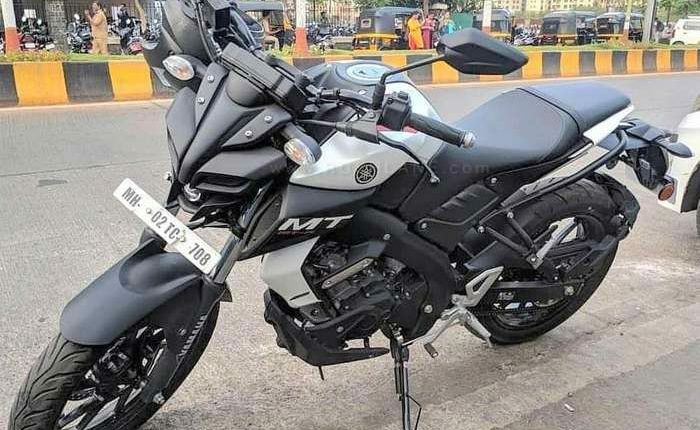 Many fans and enthusiasts who were waiting for MT15 launch in India, have nicknamed it EMPTY15, as they are upset with the pricing and lack of features on board. And the missing colour options also did not help. Many wanted to buy the white and orange dual tone option, which is on sale in international market. Yamaha MT15 is a naked version of the R15 V3. It borrows inspiration from the MT-09. It is the most affordable MT bike in the country. It is different from international-spec MT15, which comes with USD forks, muscular fuel tank, Pirelli tyres, dual tone colours, etc. Indian MT15 comes with single ABS, while the one on sale outside India gets dual ABS. Yamaha MT15 is powered by a 155.1 cc, single cylinder, SOHC, liquid cooled engine with Variable Valve Actuation. It offers 19 bhp power at 10,000 rpm and 14.7 Nm torque at 8,500 rpm mated to a 6 speed transmission. Seat height is at 810 mm, ground clearance is at 155mm and kerb weight is at 138 kgs, fuel tank capacity is at 10 liters. Yamaha has also offered tweaks on the final gear ratios and on the ECU that ensures better low and mid range power. Braking is via 282mm single disc in the front and 220mm single disc at the rear while suspension is via telescopic front fork and mono shock at the rear. The Yamaha MT-15 is capable of a top speed of 130 kmph while mileage stands at 40-45 kmpl. It competes with the KTM 125 Duke at this price point.